The first question becomes whether he'll exit as a free agent. 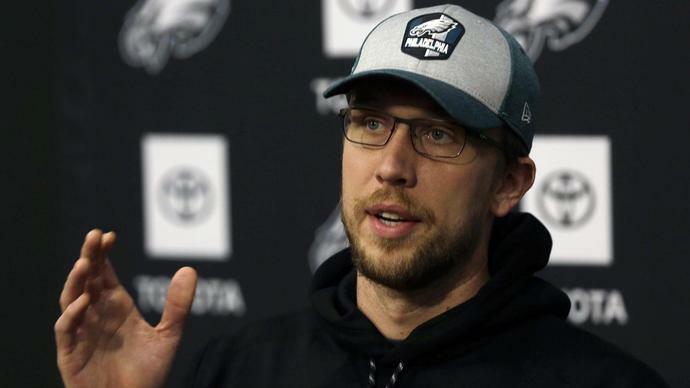 His contract sets up a ping-pong match that starts with the Eagles exercising a $20 million option for 2019, Foles exercising a $2 million buyout, and the Eagles then deciding whether to apply the franchise tag, which would cost in the neighborhood of $25 million for one more year. The Eagles, if they tag Foles, presumably would then try to trade Foles, who may not be thrilled about the team showing its appreciation for his contributions by trying to squeeze something more for his rights than the compensatory draft pick consideration they'd get. But they'll understandably hope to guide him to a team other than Washington or the Giants, a pair of division rivals who could become very interested in pursuing the Super Bowl LII MVP.